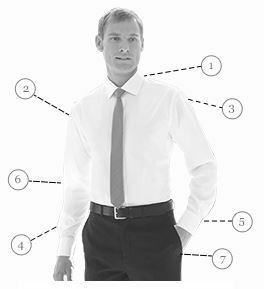 Durable and stylish the Oxford shirt in 100% cotton is easy to wear and supremely comfortable and soft thanks to the unique wash we give them. 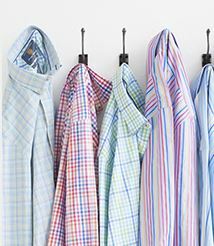 A button down collar means these shirts are a wonderfully versatile choice; perfect for so many occasions.. Shirt: Twin button cuff fastening. Twin pleat back. Left breast pocket. Button down collar. Machine washable. we received prompt service with an excellent product, very happy. Very pleased with the quality of the shirts. The "4 for" offer made them very reasonably priced. Efficient delivery. Very good service, even after sending back the shirts for a different size (these tend to be ample fit). Very prompt and polite service. Shirts are good quality too! Very pleased! Very good service, quality excellent - only thing that's a problem to me is that I'm 6ft 4+ and have short legs and a long body!!!! Shirt tails could be longer, other than that all great stuff. I ordered 4 shirts and 2 pair of trousers, all the order arrived in the one box within 2/3 days exactly as I had requested, could not ask for anything more. 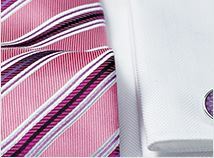 I have purchased suits and shirts through Brook Taverner. Suits didn't fit initially, but very fast and hassle free exchange for the correct size. The quality of the clothes and customer experience is very good. Would recommend to anyone. Good range of nice quality clothes. Reasonably priced. Easy to order and swiftly delivered. 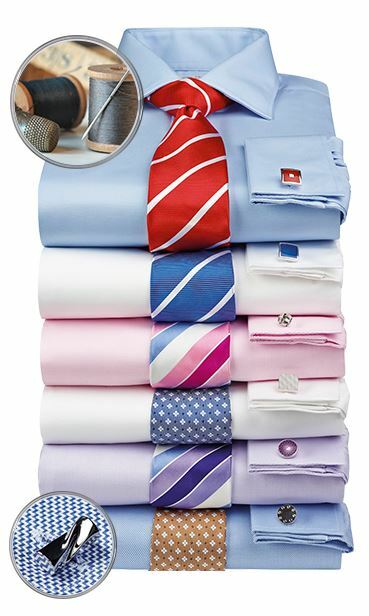 Smart, high quality clothes at reasonable prices. For many months i'd been getting their booklet through the letterbox and one night i decided to have a look through it. To my surprise i ended up ordering about £350 worth of clothing (2 jackets and 2 shirts). Fantastic delivery and great quality clothes. Just give them a try and i'm sure you'll be pleased. Shirts and sizing as described along with prompt delivery. A satisfactory solid service as has been enjoyed in previous orders. The cut and quality of materials used in my Brook Taverner shirts and jackets is excellent. I'll never buy shirts from anyone else ever again. The speed of dispatch is equally impressive. Brilliant service, great clothes. Things have gone wrong in the past (delivery issues...) But they've always sorted things speedily. Stress free shopping! Keep up the great work! Well done Brook Taverner for providing super products backed up with a first class customer service. Absolutely faultless from start to finish. Have purchased twice and will now be doing so more regularly. Restores faith in british retail - Yes it can be done! Best men's clothing I've ever purchased, amazing quality for price. Thank you and Regards. the suit is excellent, very fine cloth and a perfect fit. The shirts are a little on the large size - I should have ordered Medium for a 41" chest. Always great quality clothing. We love everything we buy from here. Why don't you have this type of shirt with shorter sleeve lengths? 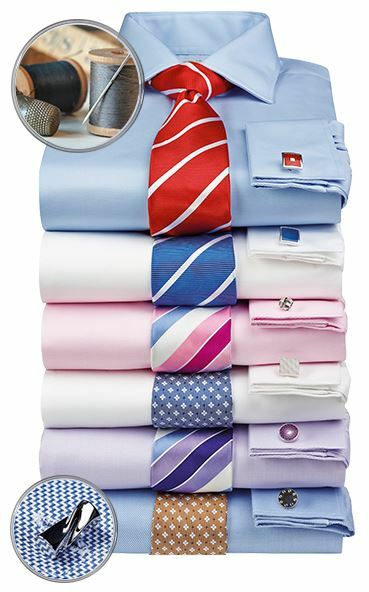 As yet we do not offer all shirts in different sleeve lengths but have been expanding our range. We do appreciate your feedback and I have passed your comments on to our design team for their consideration.